Grand Chief Woableza (Wo-a-blay-za) is a Holyman and Wisdom Keeper of indigenous peoples. A Lakota/Dakota elder, whose spiritual name “Woableza” identifies him as “One who seeks the Knowledge of Life” or “One looking for Understanding.” He has traveled throughout the Americas for the past 37 years, acquiring and sharing indigenous stories and wisdom regarding care for the land and people. He has produced films, TV programs, educational programs, and has worked with a number of Native American organization concerned with health, media, spirituality and the environment. Woableza is a great grandson of the famed Dakotah Sioux “Chief Ti Wakan” (Sacred Lodge) who was instrumental in restoring peace between the Dakota and the United States Army during the great Indian wars. He is a follower of the teachings of the famous Lakota Holyman, Chief Tatanka Iyotake (Sitting Bull). Woableza is a Peace Teacher. He teaches about peace found within and peace among people and nations. He teaches about finding peace with Mother Earth and all creation. Woableza is also an Elder with the Spirit Walkers of Turtle Island. 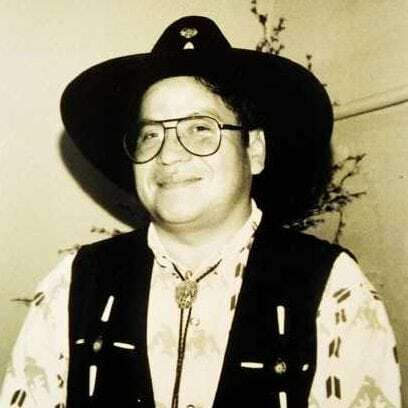 He was a member of the National Congress of American Indians, National Museum of American Indian and the Native American Producers Association. Woableza proudly comes from Buffalo Nation.